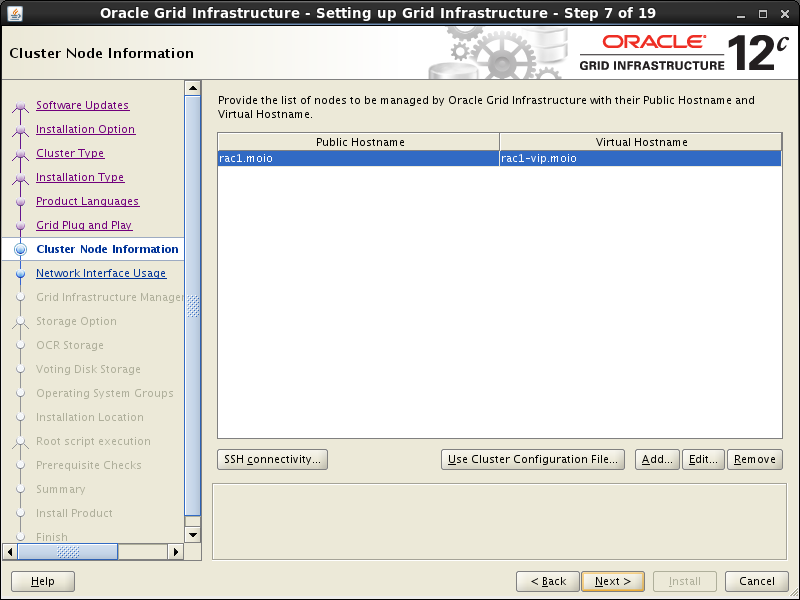 We will set up a two-node RAC cluster with a pair of libvirt Virtual Machines. For a quick overview of the RAC architecture I highly recommend this quick video from Hasan Mir. a bridged network to have cluster nodes access the Internet for convenience. RAC nodes will share one direct-attached virtual disk with ASM as a clustered file system on top of it. 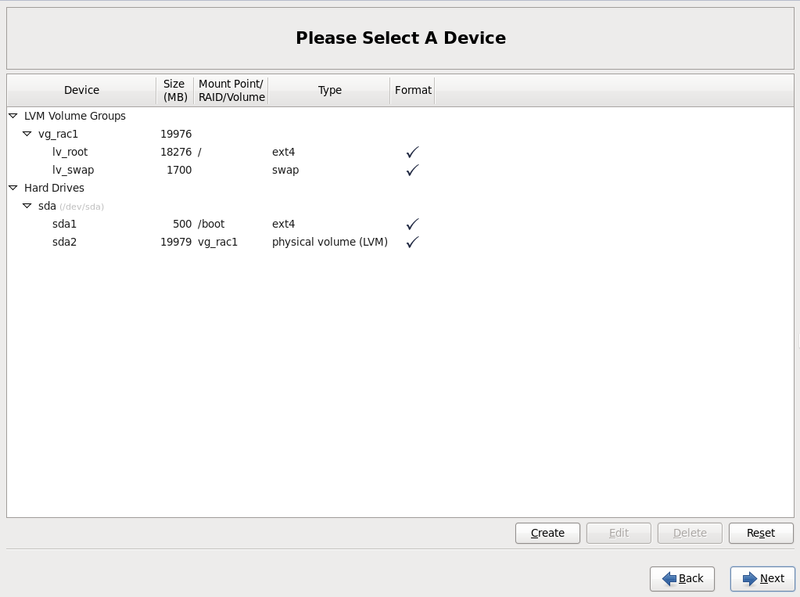 This is much easier to implement over a true SAN solution like iSCSI and serves well as a test setup. 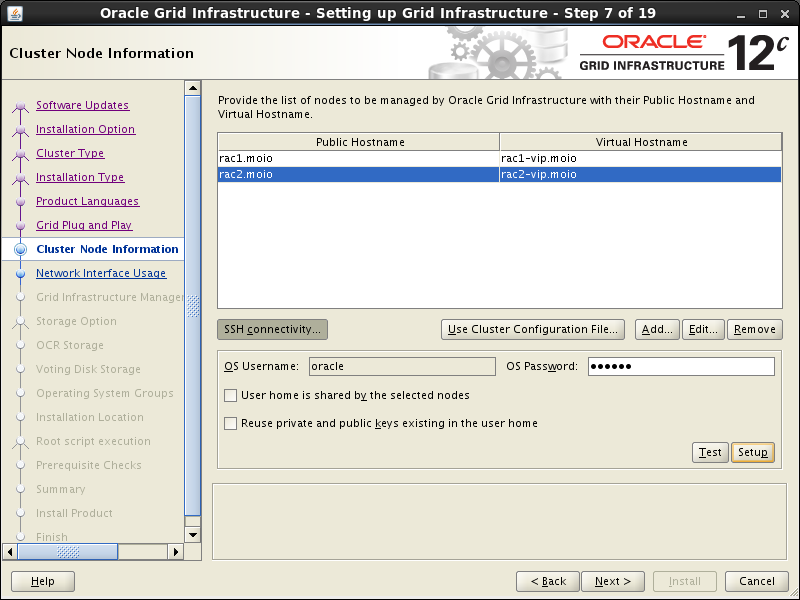 Then you need to set up two new virtual networks: one to connect rac nodes (“public”), and the other to connect clients to them (“private”). 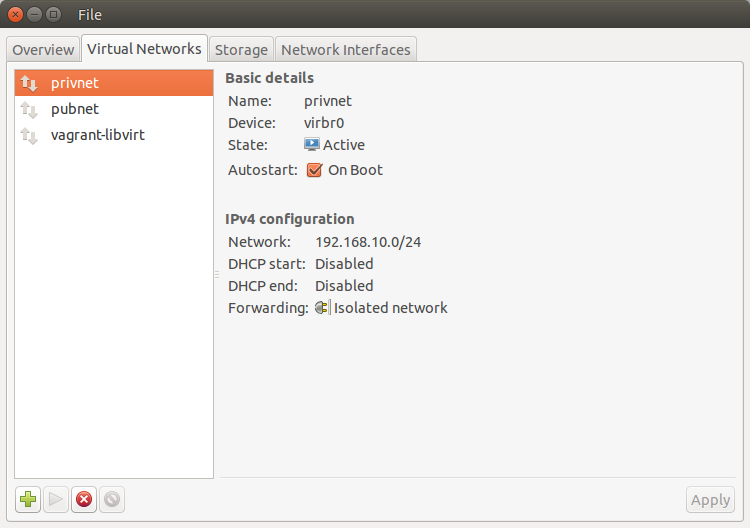 You can do so by right clicking on your libvirt connection name from virt-manager, then clicking on “Details”, then on “Virtual Networks”, and then clicking on the “+” button and following the wizard. We will set up the first RAC node, rac1, and then clone it to save time. 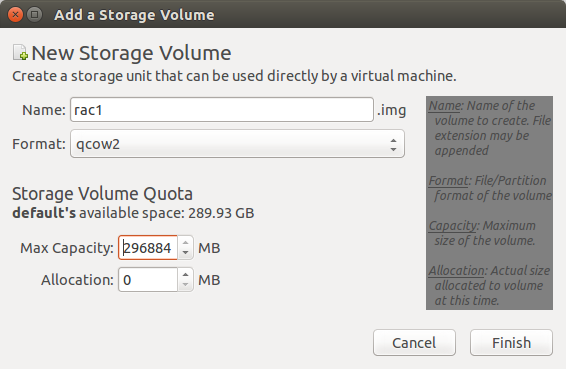 You can use an arbtrary big “Max Capacity” setting, as only actually consumed space will be used in the host. 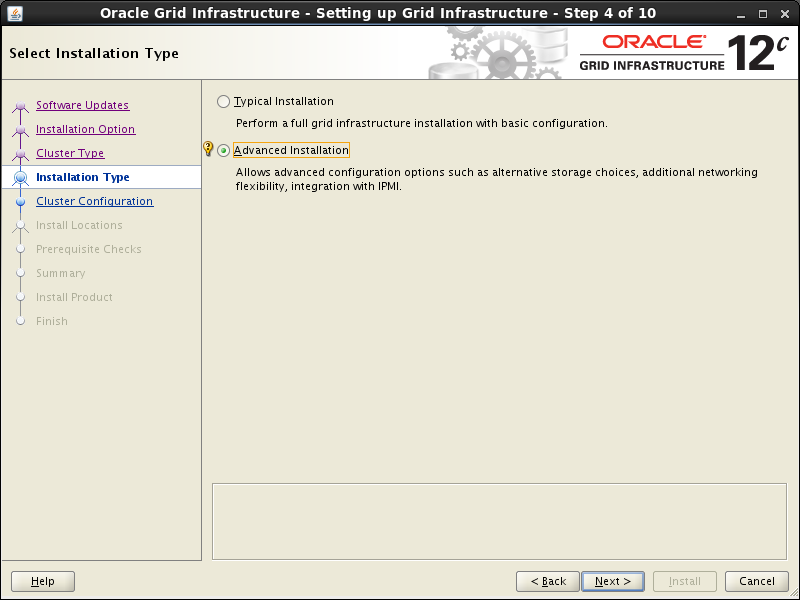 Mark “Customize configuration before install” then click “Finish”. 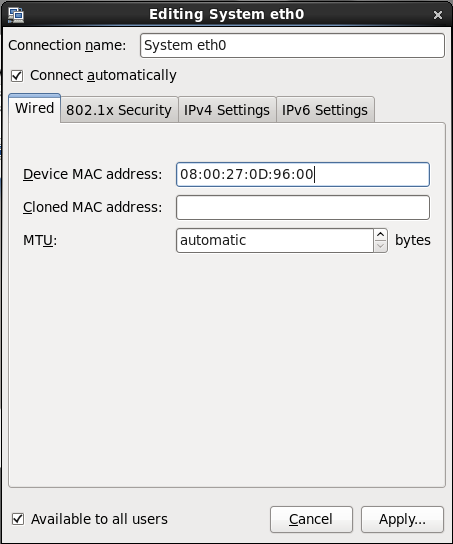 Set “Hostname” to rac1.moio, then press the “Configure Network” button. 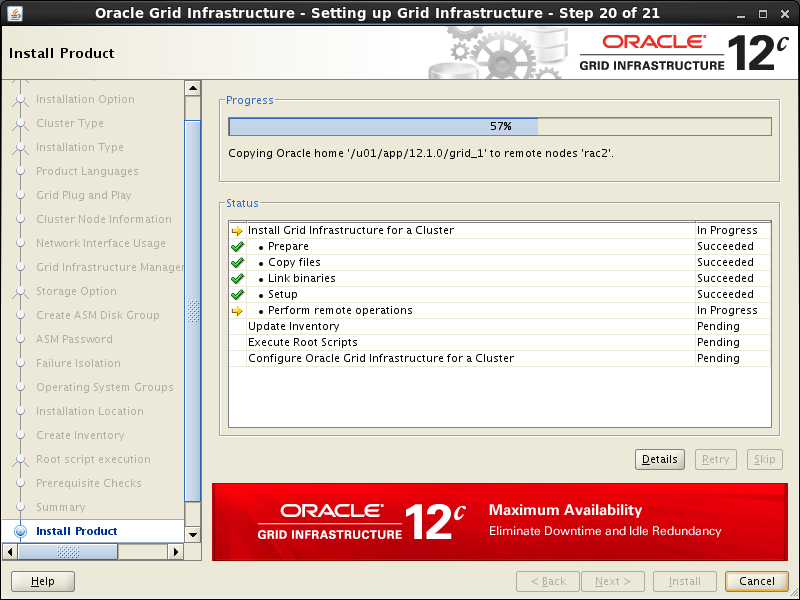 In order to use RAC, an Oracle Grid Infrastructure installation must be performed (this software was formerly known as “Clusterware”). Before that, a few prerequisites are needed as explained in this section. All of the following commands must be performed by the root user. Note. The SCAN address should not really be defined in the hosts file. 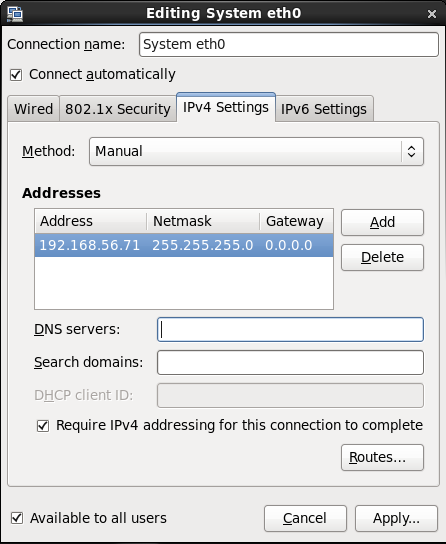 Instead is should be defined on the DNS to round-robin between 3 addresses on the same subnet as the public IPs. 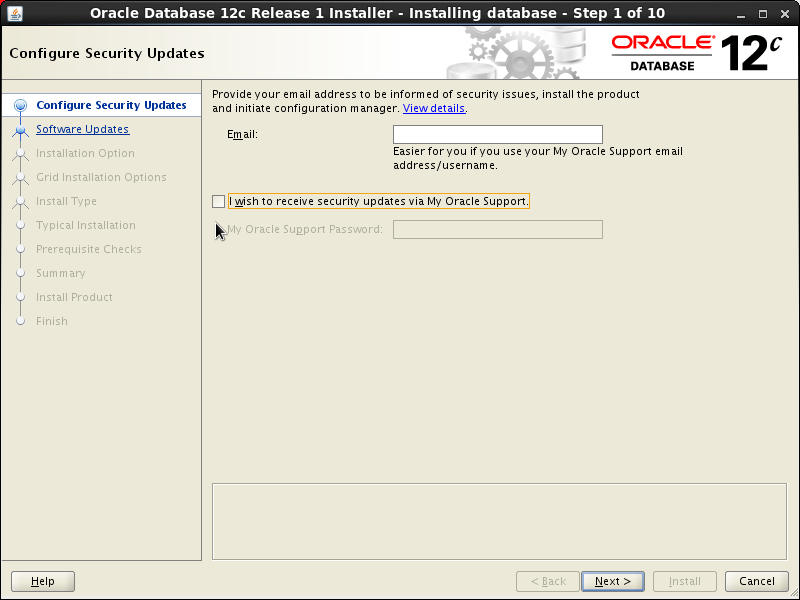 For this installation, we will compromise and use the hosts file. If you are using DNS, then comment out lines with SCAN addresses. 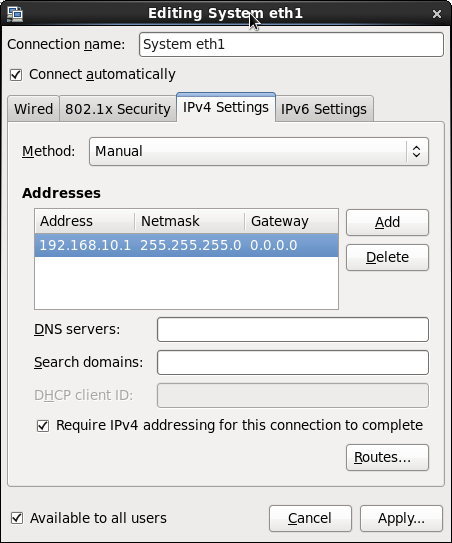 We already set IP addresses of all adapters during Linux installation. If you followed the instructions, there is no need to change anything. 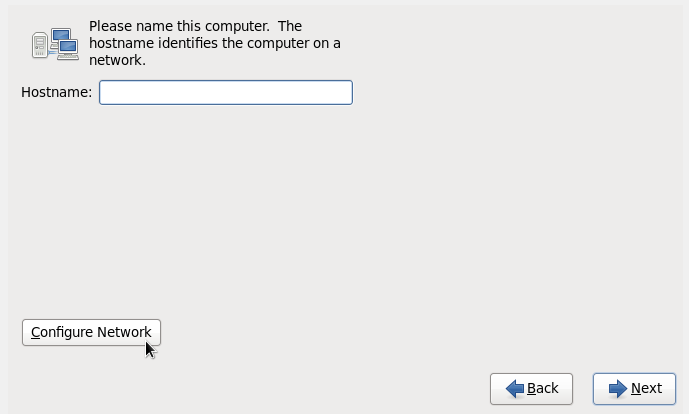 But if you need to change something, you can do so with the Network Connections tool: Linux desktop Main menu | System | Preferences | Network Connections. 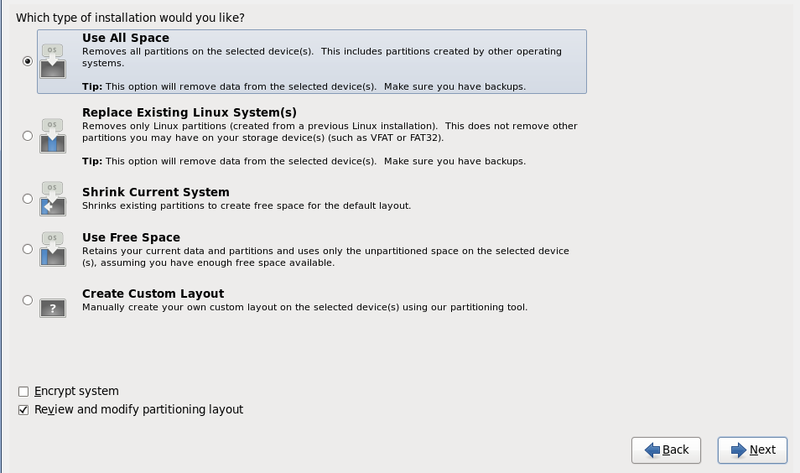 Now we need to disable the firewall: Linux Main menu | System | Administration | Firewall. Click on the “Disable” icon, then on “Apply”. 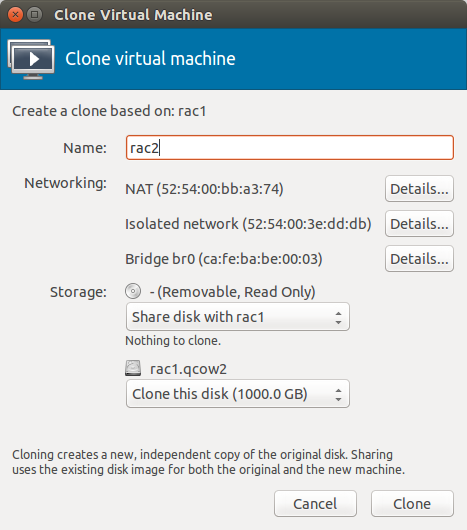 In virt-manager start the clone wizard: right click on rac1, “Clone…”. Type rac2 for the name of new machine. Take note of the newly assigned MAC addresses as you will need them later. 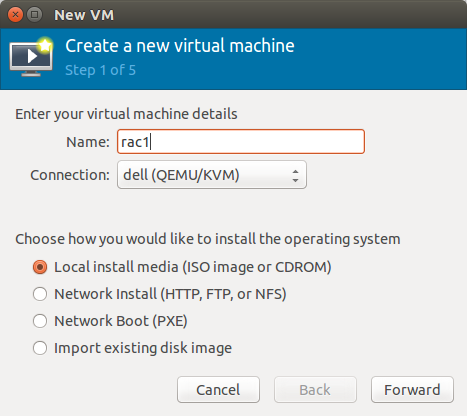 Start the cloned VM rac2 and login as root user direclty from virt-manager, as SSH will not be functional until the network setup is updated. 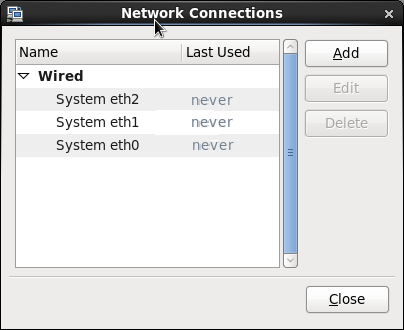 Start the “Network Connections” tool (Main menu | System | Preferences | Network Connections). Edit the eth0 and eth1 interfaces and set in IPv4 addresses 192.168.56.72 and 192.168.10.2 correspondingly, along with new MAC addresses noted above. If you have problems, use the ifconfig command to check the configuration, then correct the problem using “Network Connections” tool. 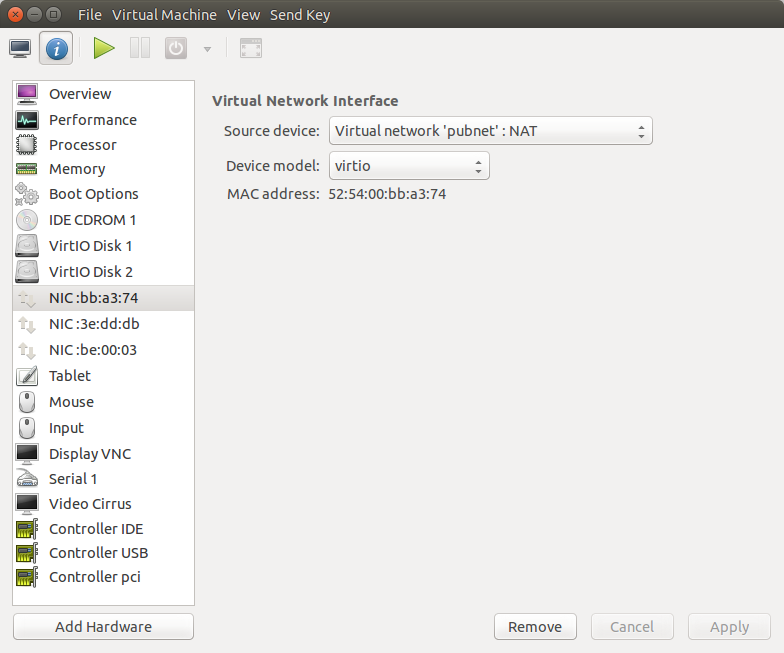 We are now going to create a separate virtual disk and partition which will be shared, through ASM, between RAC nodes. We will use a separate libvirt image file which has a fixed size, as dynamically expanding qcow2 files are currently not handled correctly by ASM. 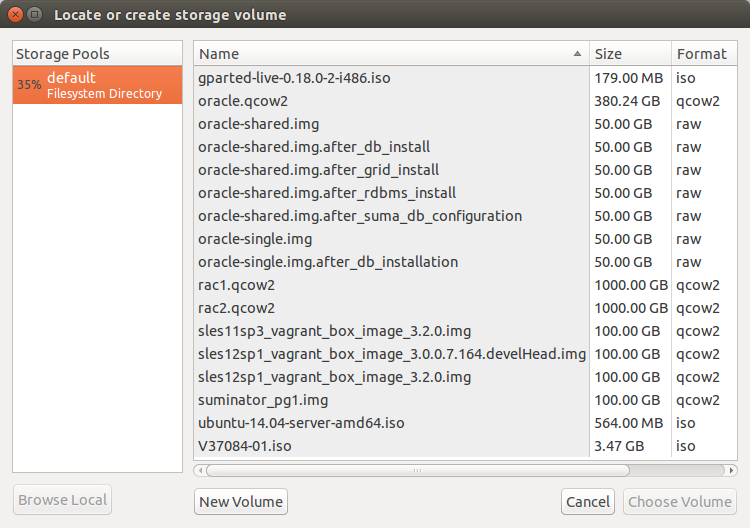 Then you can format the disk with the following commands via SSH on rac1, root user. Finally, check that the disk is now visible to ASM using the listdisks command (both from rac1 and rac2). 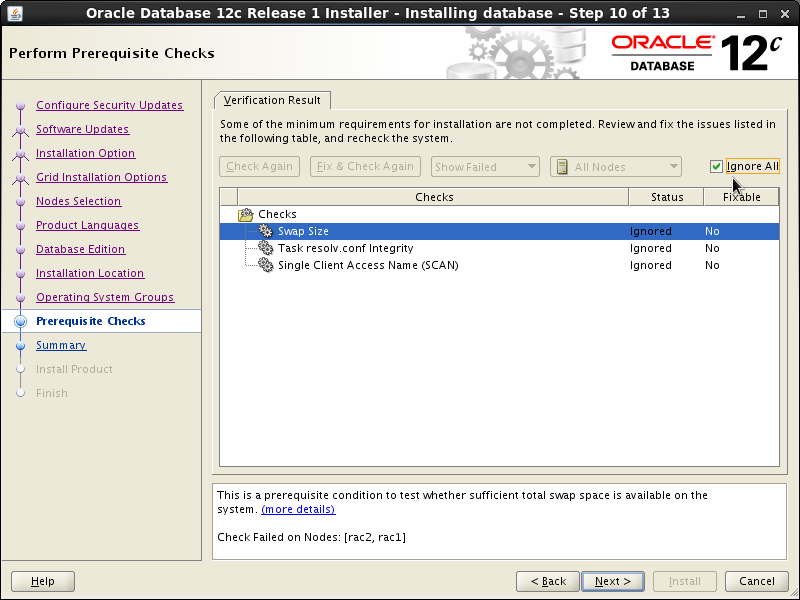 Make sure that both rac1 and rac2 are started, then login to rac1 as oracle user (it is better to avoid using su - command as problems were reported) and start the Oracle installer. 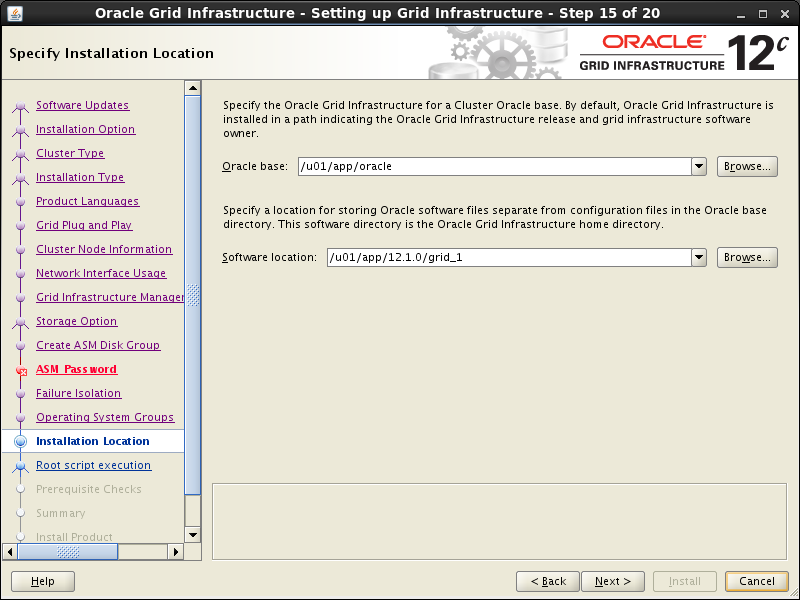 Select the “Install and Configure Grid Infrastructure for a Cluster” option, then press the “Next” button. 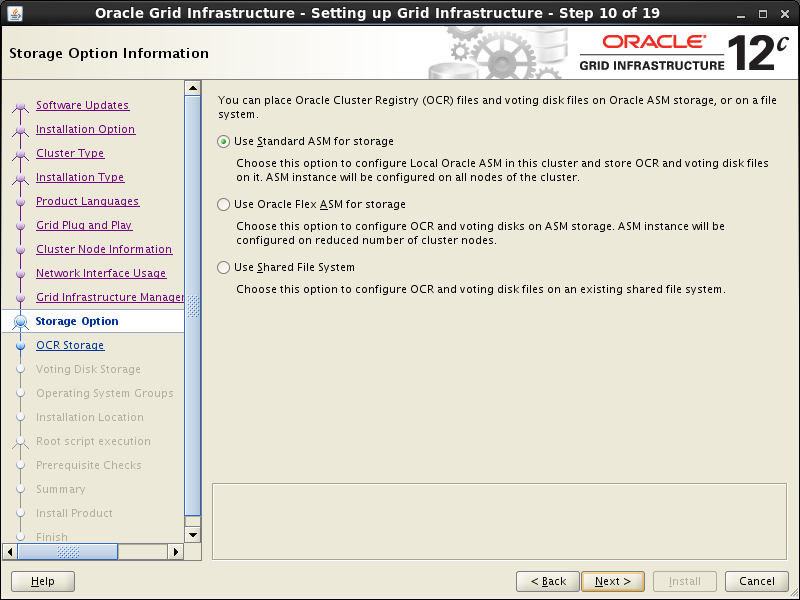 Select the “Configue a Standard cluster” option, then click the “Next” button. 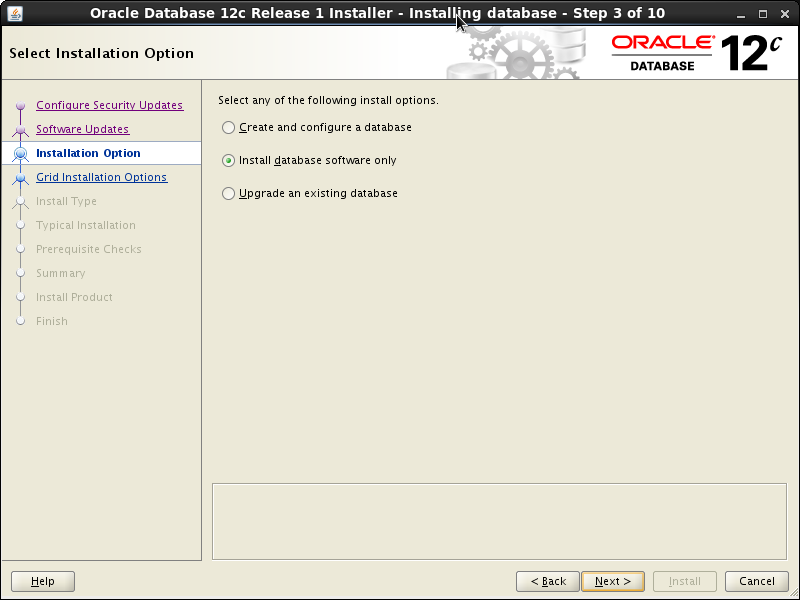 Select the “Advanced Installation” option, then click the “Next” button. Select Language and go to the next screen. 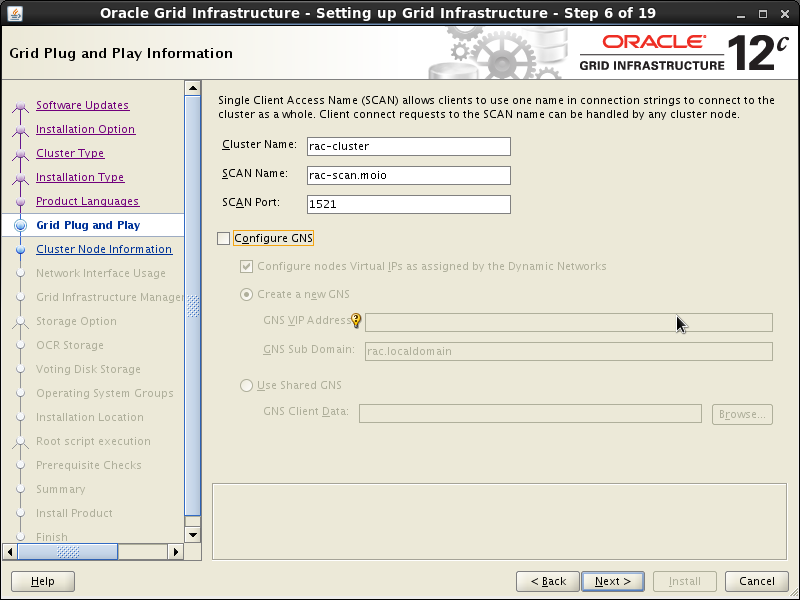 On the “Grid Plug and Play information” screen, change Cluster Name to “rac-cluster” and SCAN Name to “rac-scan.moio”, uncheck “Configure GNS” box, then press the “Next” button. 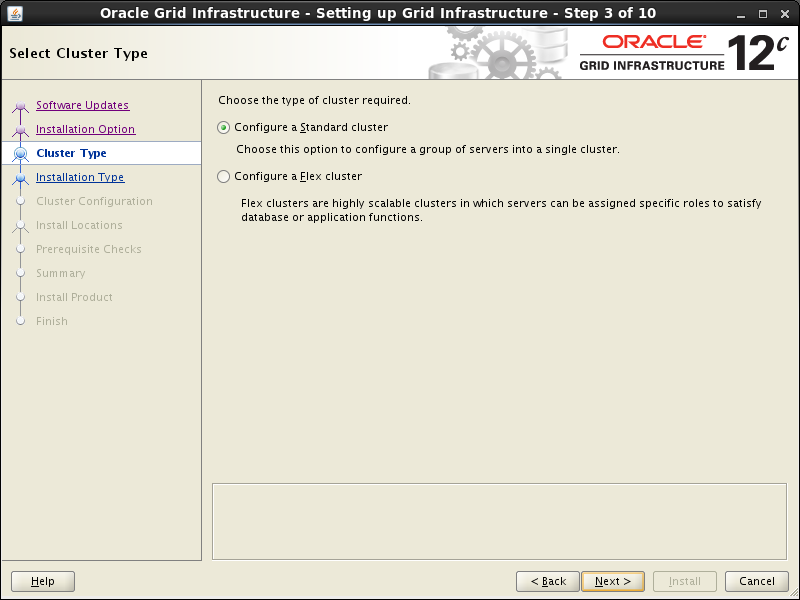 On the “Cluster Node Configuration” screen, click the “Add” button. 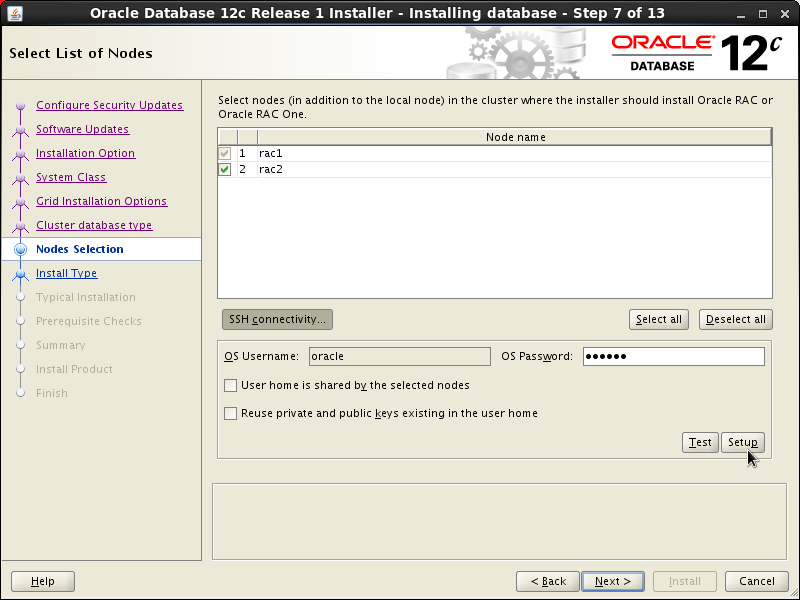 Enter the details of the second node in the cluster, then click the “OK” button. 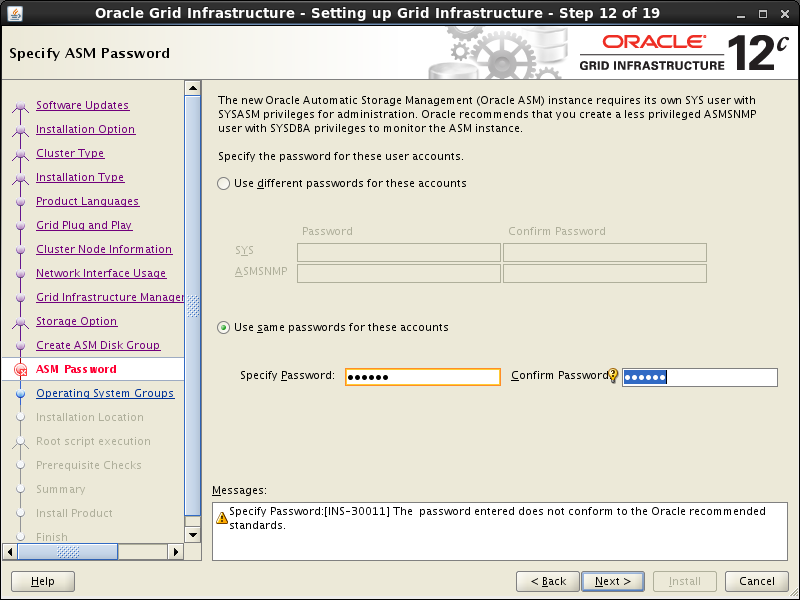 Click the “SSH Connectivity…” button and enter the password for the “oracle” user. 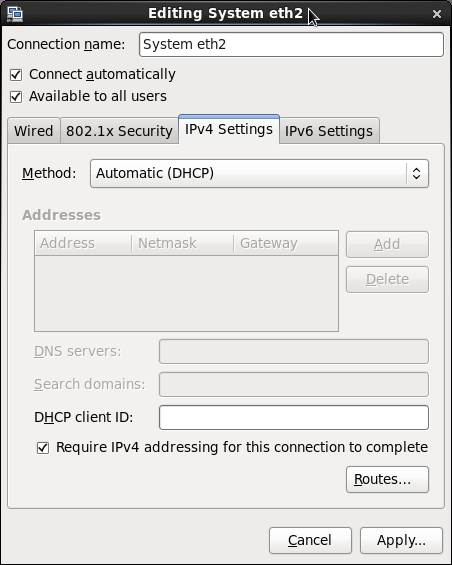 Click the “Setup” button to configure SSH connectivity, and the “Test” button to test it once it is complete. Then press “Next”. On the “Specify Network Interface Usage” screen check the Public and Private networks are specified correctly. Press the “Next” button. 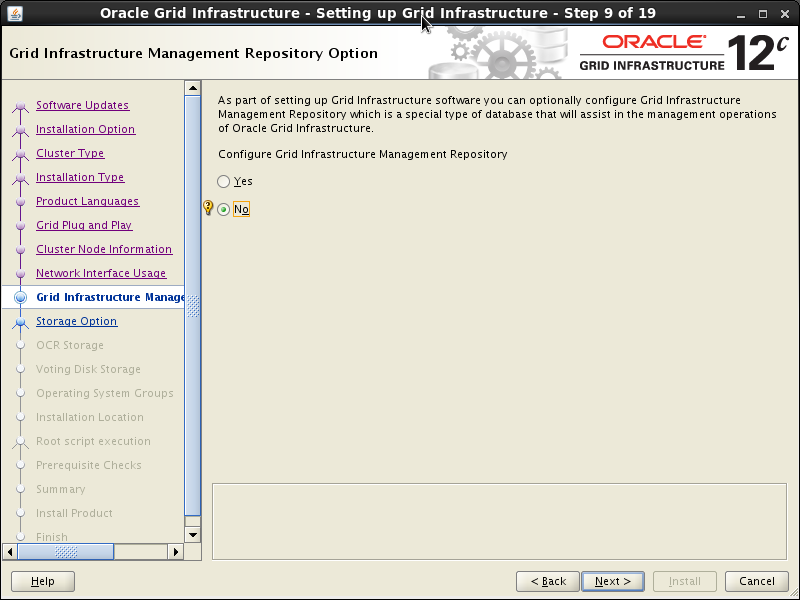 On the “Grid Infrastructure Management Repository Option” screen check “No” and press the “Next” button. Confirm this decision on the next screen. 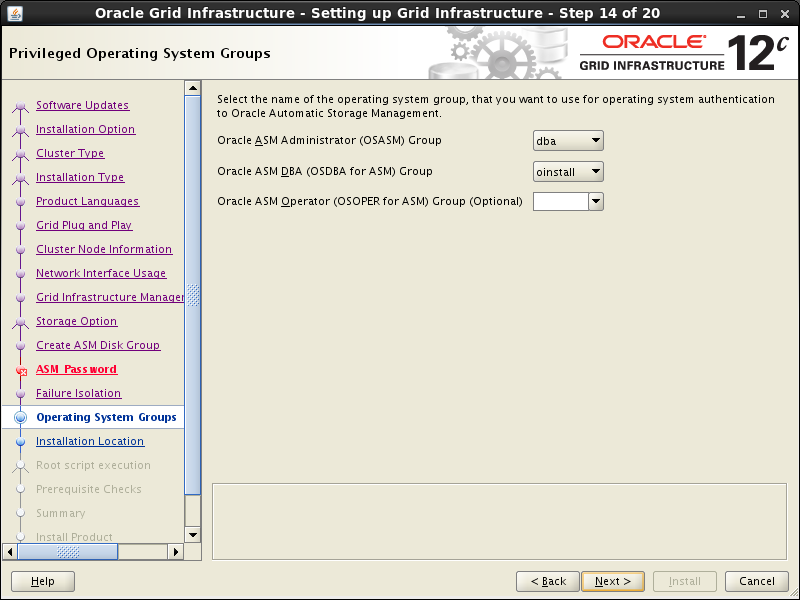 On the “Storage Option Information” screen keep Oracle ASM option selected and press “Next”. 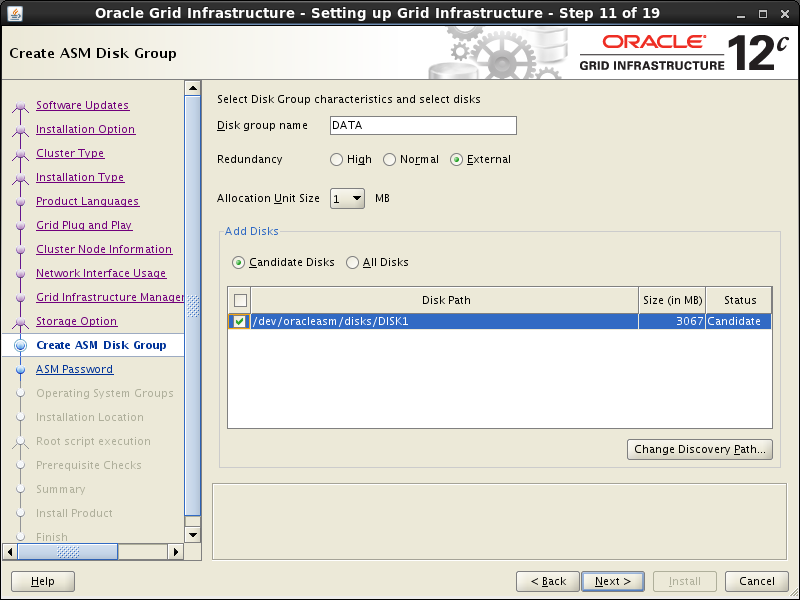 Keep “Disk Group Name” unchanged. 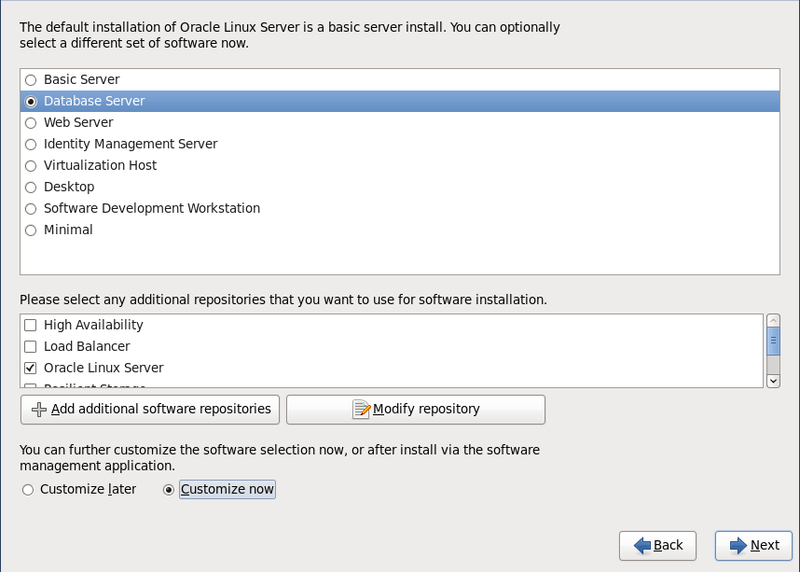 Select “External” redundancy option. 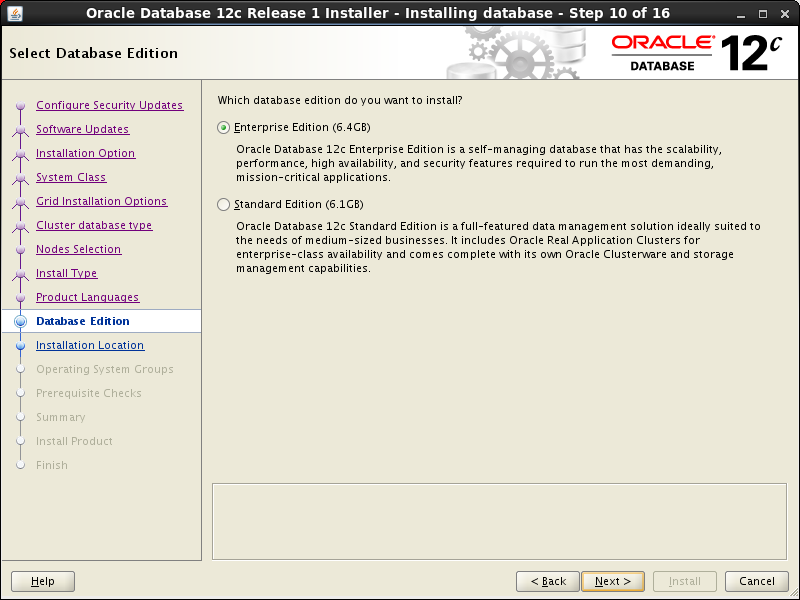 Check that /dev/oracleasm/disks/DISK1 is in the “Add Disks” section. When done, press “Next”. On the “Specify ASM Password” screen select “Use same passwords for these accounts” option and type in “oracle” password, then press “Next”. Ignore warnings about password weakness. 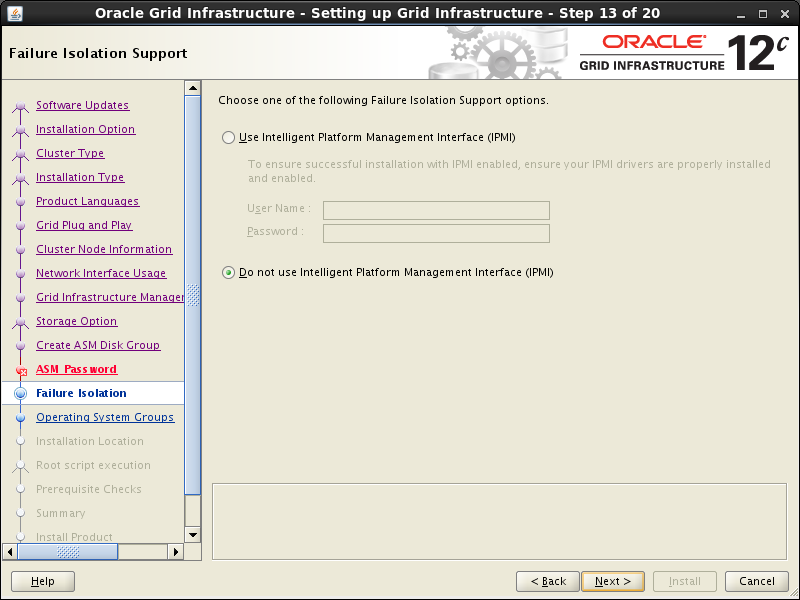 Keep defaults on the “Failure Isolation Support” and press “Next”. Keep defaults on the “Privileged Operating System Groups” and press “Next”. Ignore warning on the next screen. 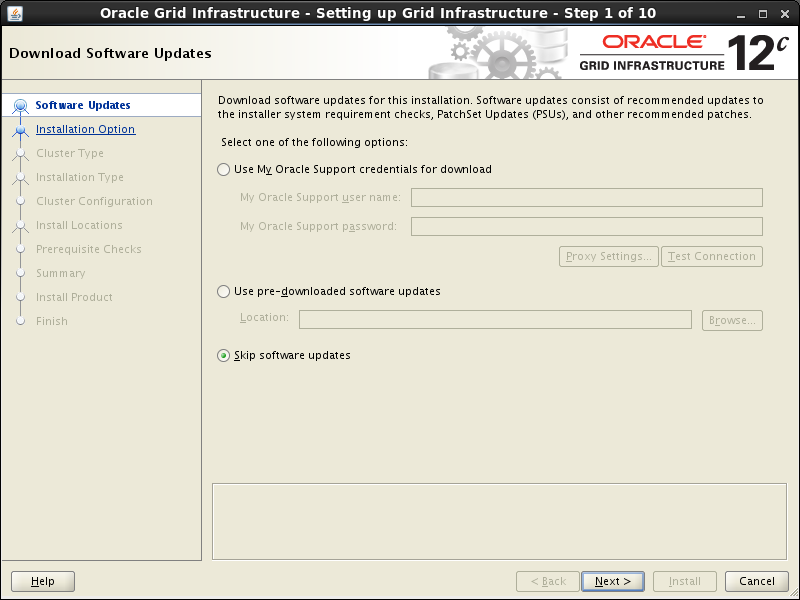 Keep suggested Oracle base unchanged, and adjust Software location on the “Specify Installation Location” and press “Next”. 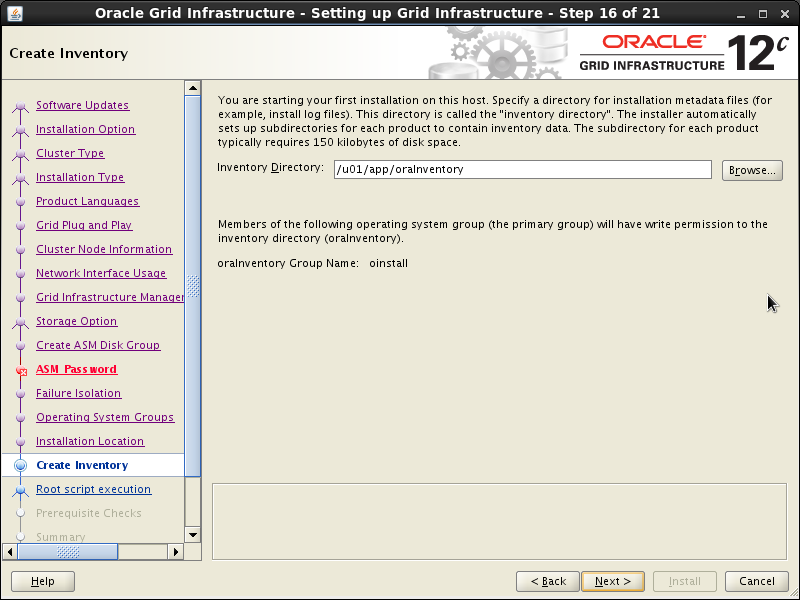 Keep suggested path unchanged on the “Create Inventory” and press “Next”. 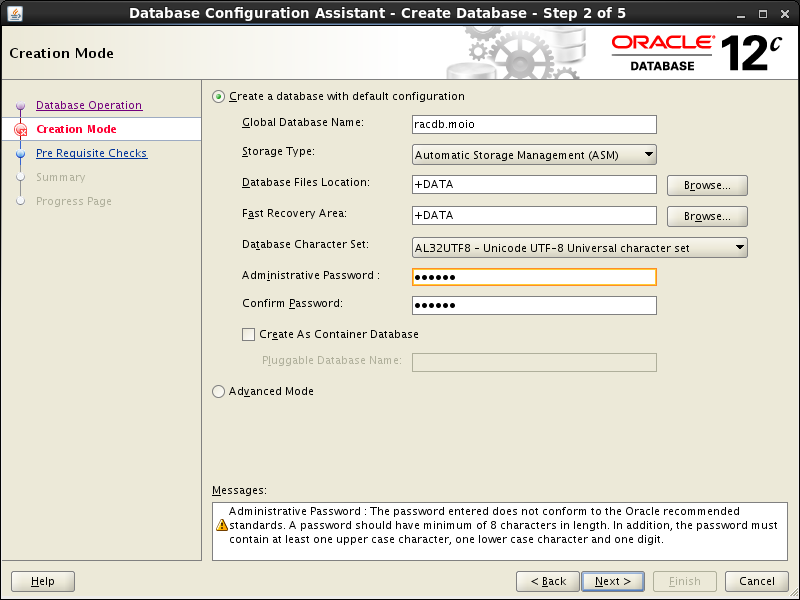 In the “Root script execution configuration” select “Automatically run configuration scripts” and check “Use root option”, then type password oracle. Press “Next”. 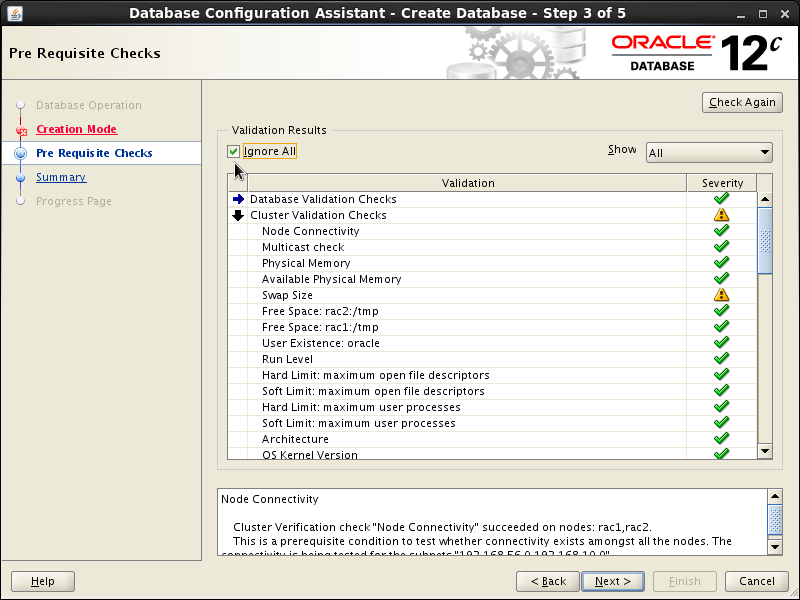 The results of prerequisite checks are shown on the next screen. You should see three warnings and one failure. The failure was caused by inability to lookup SCAN in DNS and that should be expected. Check “Ignore All” box and press “Next”. Press “Install” on the Summary screen. Wait while installation takes place, it will take several minutes with occasional slowdowns which might appear as if the system was stuck. When asked to confirm root scripts execution, answer Yes. We expect the verification phase to fail with errors related to low Host RAM, Swap File sizes, group mismatch for DISK1, and “udev information”. These errors can be ignored. 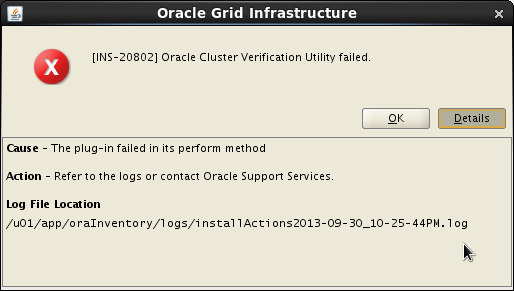 You can check errors opening log file ( /u01/app/oraInventory/logs/installActions<DATE><TIME>.log, shown below), then searching for “Error”. INFO: INFO: Cause: Amount of physical memory (RAM) found does not meet minimum memory requirements. INFO: INFO: Action: Add physical memory (RAM) to the node specified. INFO: INFO: Cause: The swap size found does not meet the minimum requirement. INFO: INFO: Action: Increase swap size to at least meet the minimum swap space requirement. Provided these are the only errors, it is safe to ignore them and continue by clicking the “Next” button. Close the Configuration Assistant on the next screen. 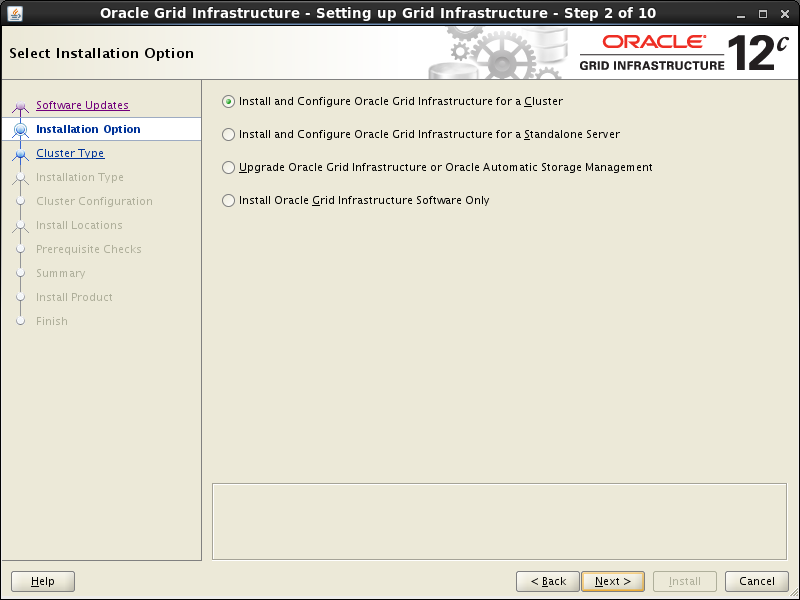 At the end of this procedure the Oracle Grid Infrastructure should be correctly installed. 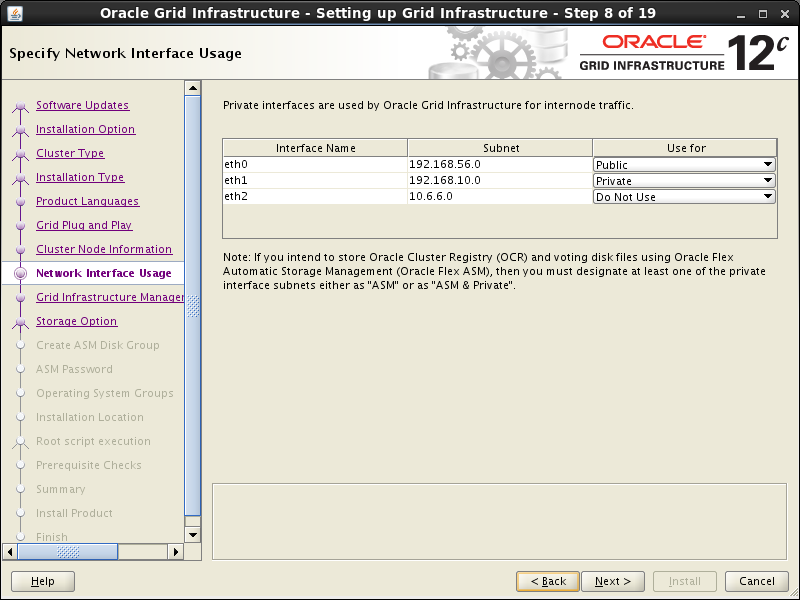 You can check that it is online on both nodes following instructions in “How to check the Oracle RAC status”. 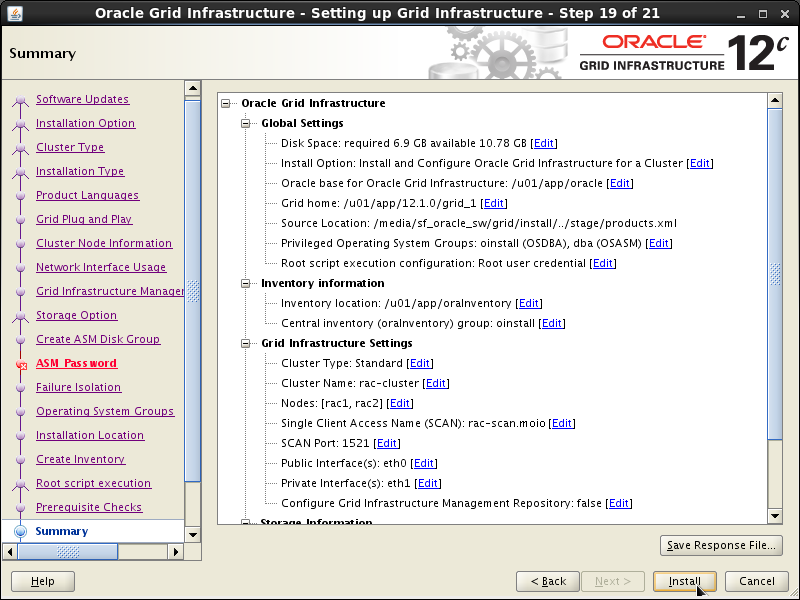 Login to rac1 as oracle user (better to avoid using su - command, problems were reported) and start the Oracle installer. 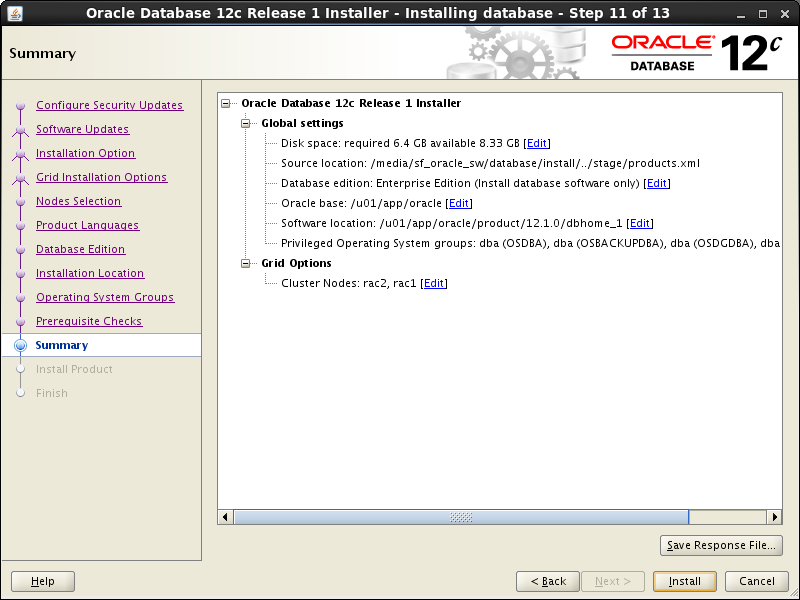 Select “Oracle Real Application Cluster database installation” and then press the “Next” button. Make sure both nodes are selected. 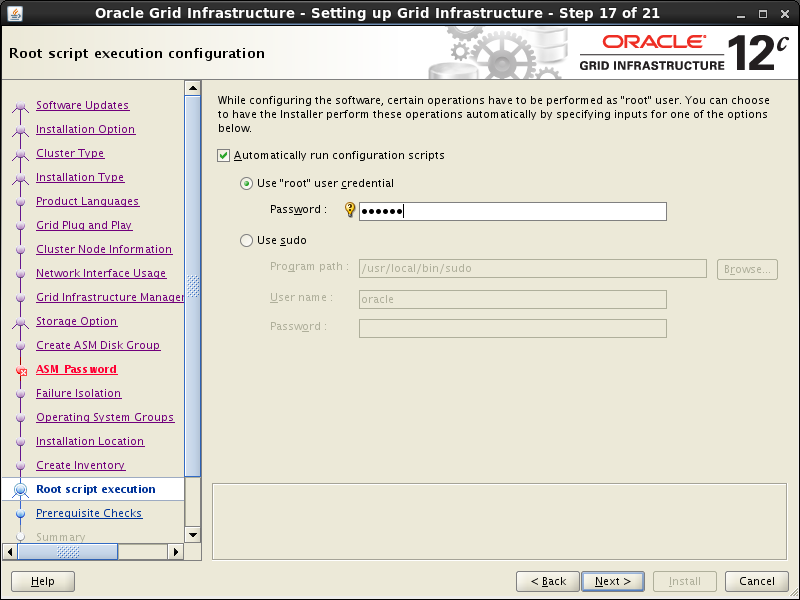 Press on “SSH Connectivity”, enter “oracle” as the password and then press the “Setup” button. 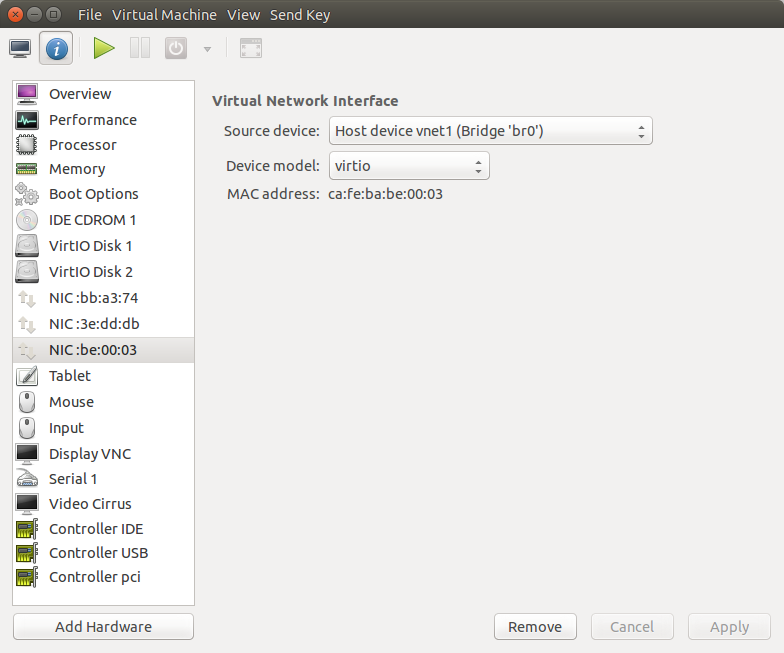 After the SSH connectivity setup is finished, press “Test” button to test it. Then press “Next”. Select Language on next screen and press the “Next” button. Wait for the prerequisite check to complete. If there are any problems, either fix them, or check the “Ignore All” checkbox. On the screenshot below 3 warnings are shown which are safe to ignore. Click the “Next” button. 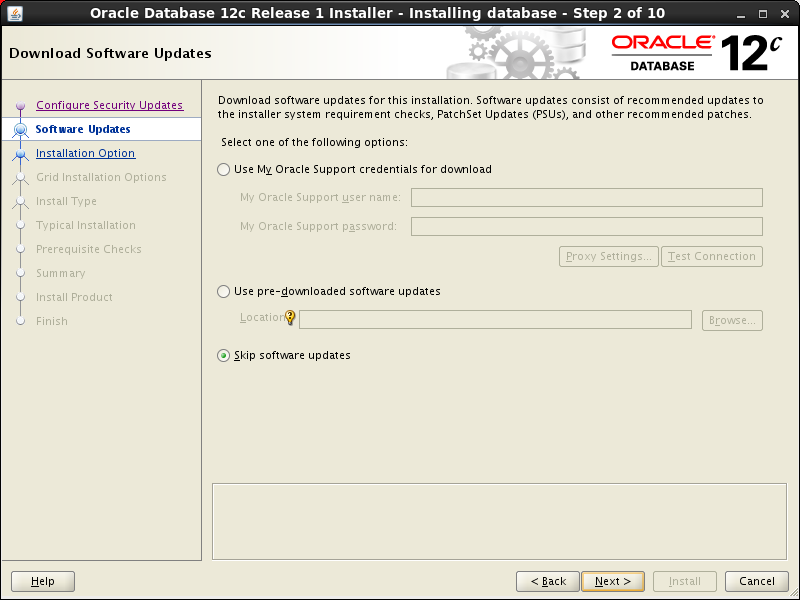 If you are happy with the summary information, click the “Install” button. 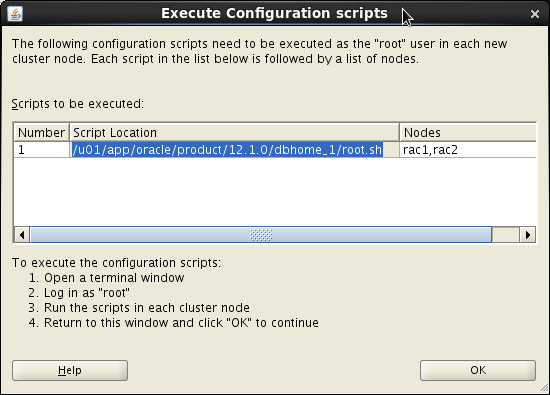 Execute root scripts when prompted on both nodes. 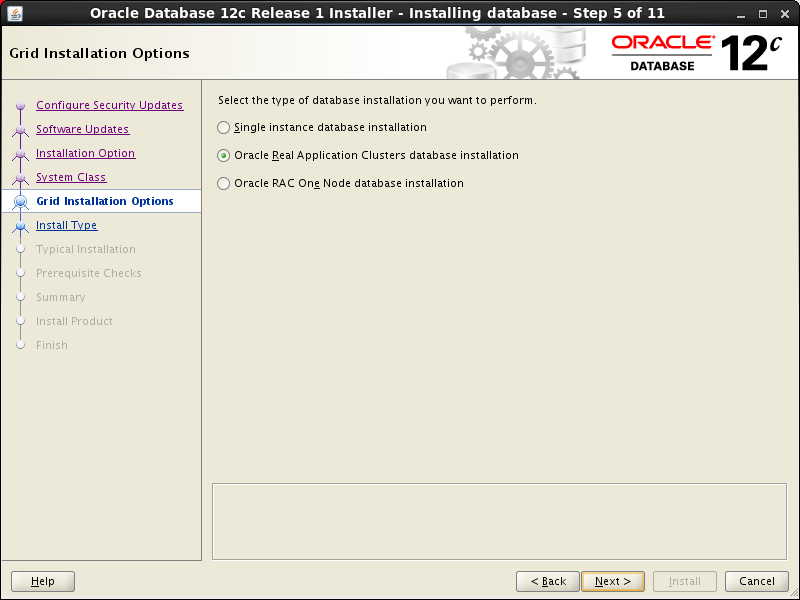 Press the “Close” button and the Oracle DB software is now installed! Optionally, you can take a snapshot at this point, see instructions below. Wait for the prerequisite check to complete. The only reported problem was the familiar “Swap Size”. Check “Ignore All” checkbox and click the “Next” button. 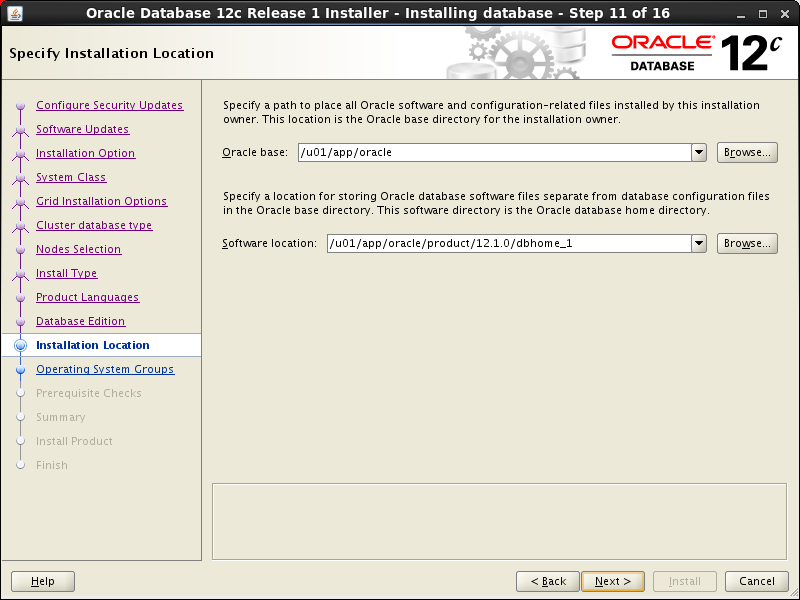 Click the “Close” button to exit the installer. 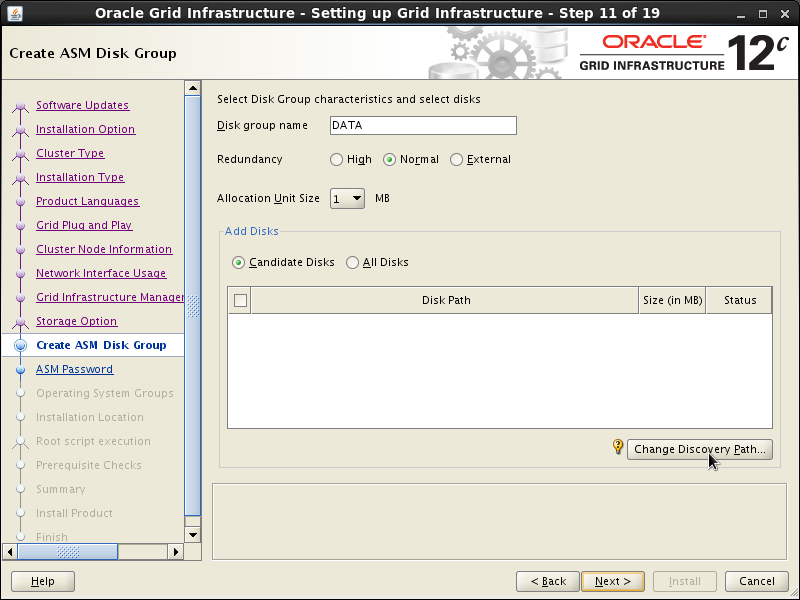 The RAC database creation is now complete! 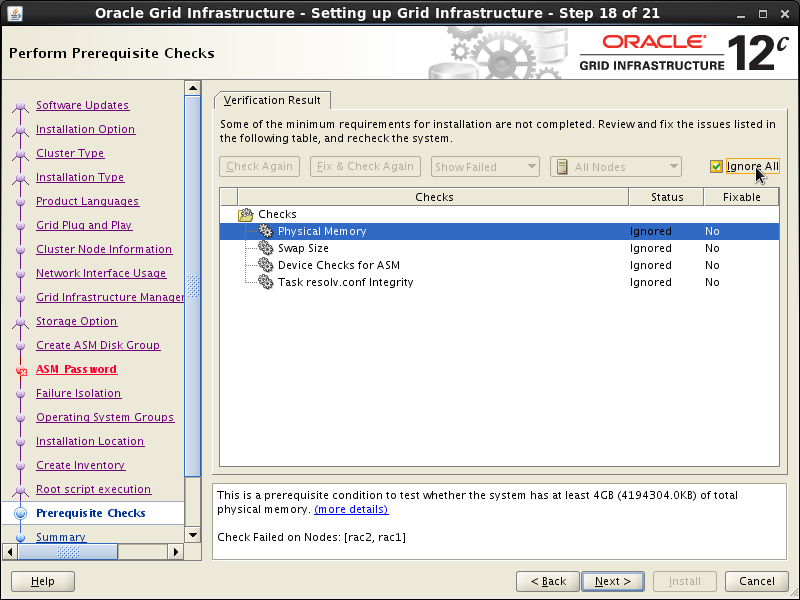 See “How to check the Oracle RAC status” to make sure all went fine. In this setup it is assumed that clients are in the “public” network, and that they also have RAC names in their /etc/hosts file (see above). 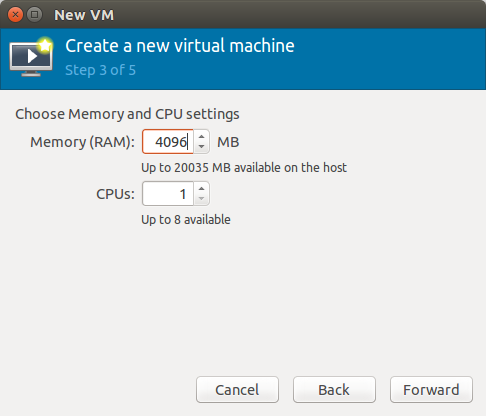 The approach above works fine if your client is another virtual machine on the same libvirt host, but might be a limit in other cases (eg. if you need to access the client from a remote host). A quick way around this limitation is to change some iptables rules on the libvirt host to allow traffic to the public network from other hosts, and adjust routing tables accordingly. 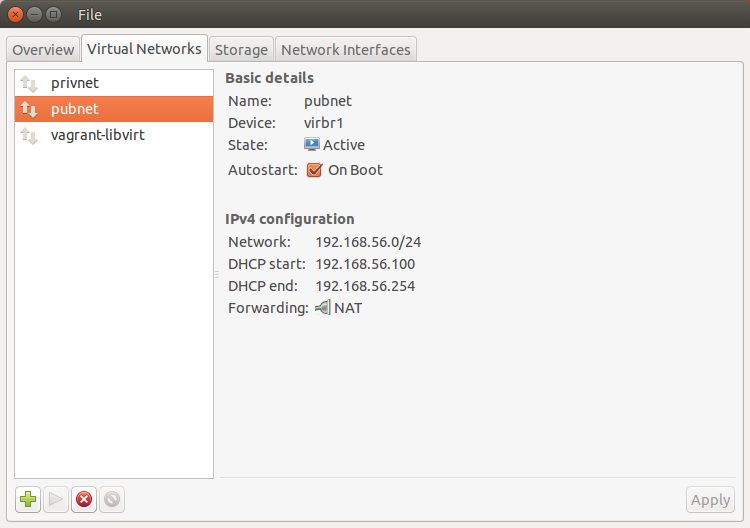 Since libvirt simply uses iptables rules to implement NAT, it is possible to use the host as a “router” instead of a “gateway”. 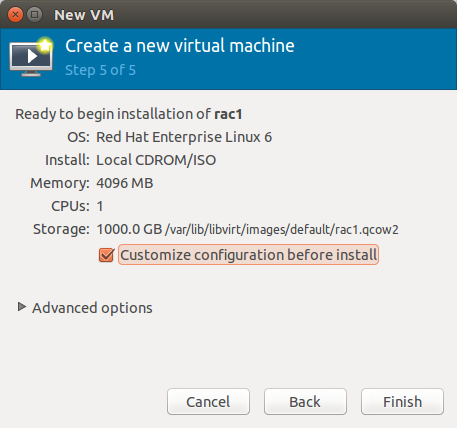 We will assume you need to connect to the RAC DB from an external host (that is able to reach the libvirt host) from now on. First of all, make sure all interested machines have all RAC names in /etc/hosts (see above). That includes the RAC nodes themselves, the libvirt host and the client host. You should now be able to connect to the RAC via the SCAN address. 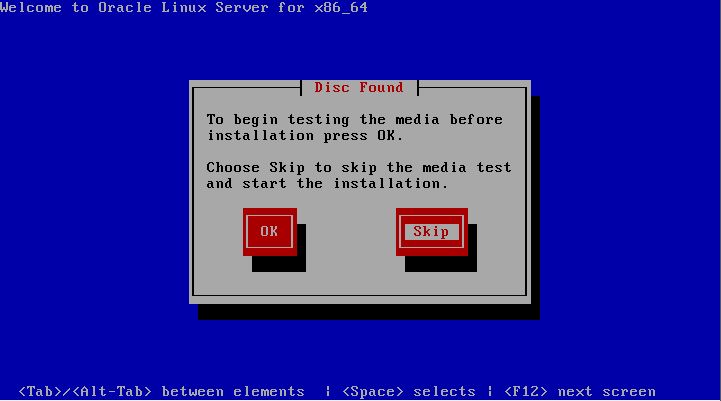 First, check that the ASM disk is available. Log into rac1 and then rac2 and issue the following command. The same command can be run on rac2 by specifying +ASM2 to oraenv. 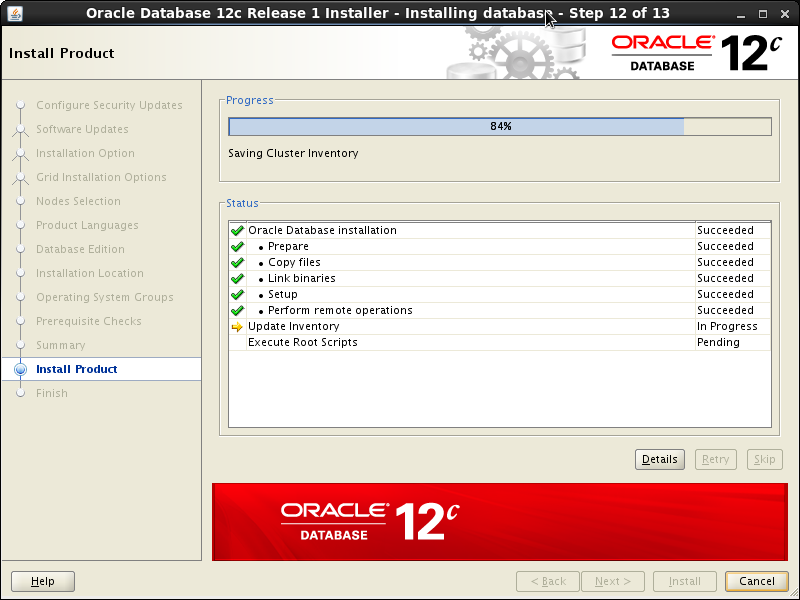 Third, check that the database instance is running well. 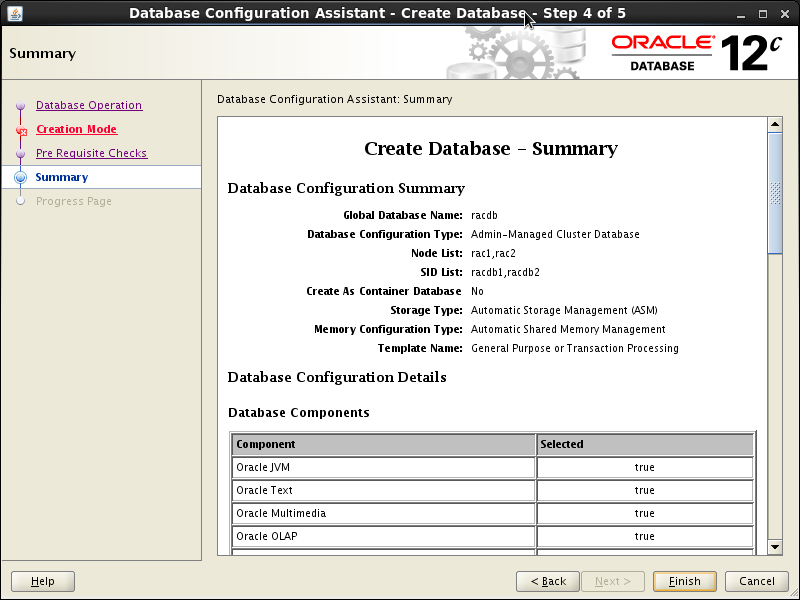 The srvctl utility, for example, shows the current configuration and status of the RAC database. 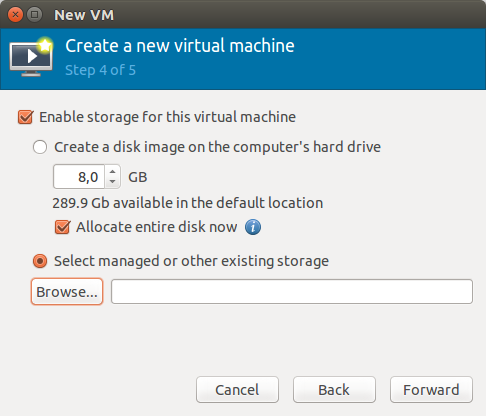 Then shutdown both virtual machines. The RAC database should be up and running! some pictures missing right above the “Guest Operating System Installation” part. Good catch, fixed now, thanks! Hey Silvio Wonderful tutorial !! 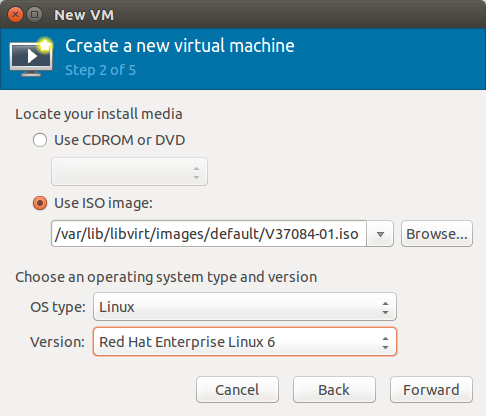 The only thing I changed was OVM VM’s (vmrac1 & 2) instead of ‘libvirt’ VM’s. Many thanks Silvio , for this clearly written “step-by-step” ! !